On Tuesday evening, House Intelligence Chairman Devin Nunes issued a stern warning to Wray and Rosenstein: Hand over the unredacted documents that congressional investigators have requested or face not only the prospect of being held in contempt — but impeachment, as well. On Wednesday, Rep. Mark Meadows (R-SC) told reporters that he “absolutely” believes Attorney General Jeff Sessions and Deputy Attorney General Rod Rosenstein “should be held in contempt,” after ignoring a subpoena request by Nunes. 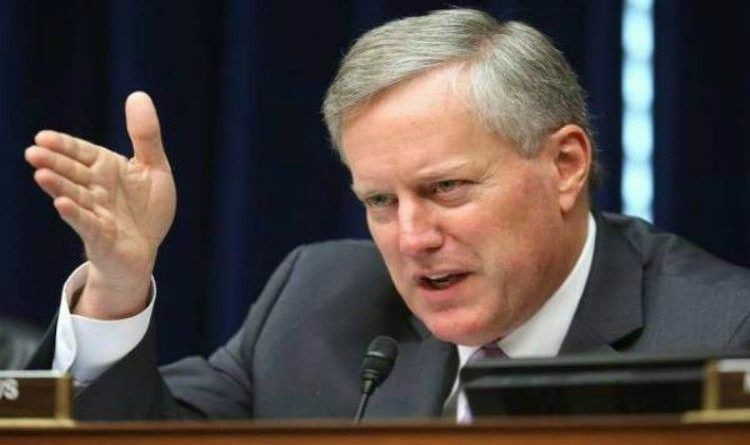 Wish we had more like Mark Meadows! Sessions, Rosie and Wray should all be held in contempt. It is very obvious that Wray and Rosenstein are slow-walking this on purpose and are willingly uncooperative. This in itself says they are protecting someone, if not themselves. If contempt and impeachment are not started NOW, it could be all over. There is something broken and it needs to be fixed. The first item being Rod Rosenstein should be removed by whatever means possible. The President should give this responsibility to Sessions. If he doesn’t fire Rosenstein, then Sessions should be fired and a new AG appointed. It is time to STOP avoiding conflict and get rid of it!